Vantage Motor Group has reported a return to profitability in its annual financial results following the sale of ‘unprofitable businesses’. A year ago the Knaresborough-based said that investments in property, facilities, fixtures and in turnaround operations to restore a number of loss-making and under-performing dealerships had led to a pre-tax loss of 134%, despite a 25% growth in turnover to £262m. 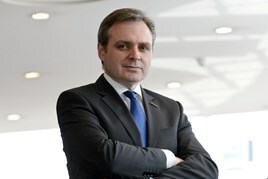 Now the AM100 retail group, which operates 24 dealerships across the North and Midlands, selling Toyota, Hyundai, Citroen, Lexus, Honda, Kia, Skoda and Mazda vehicles has been able to report a set of results which shows a £1.46m pre-tax profit alongside a further 6.9% increase in turnover to £280.1m. In a statement issued alongside the results for the period to December 31, 2017, the group's directors said: "Proﬁts from recently acquired businesses in West Yorkshire improved signiﬁcantly and the company beneﬁtted following the closure last year of unproﬁtable business locations. "Towards the end of the year we have further consolidated our loss making businesses with the sale of our Oldham and Stockport Hyundai businesses. “Our Mazda operation in Oldham was also included in this sale. The disposal of these businesses will further enhance the company's proﬁtability and earnings going forward." In early March – following its year-end – Vantage further boosted its bottom line with the acquisition of the trade and assets of Charles Clark Motors' Toyota and Lexus dual franchise dealership in Wolverhampton. During 2017, Vantage reported that its new car sales had risen 12.7% to 9,329 (2016: 8,281) as used car sales increased by 1.5% to 9,332 (2016: 9,190). Aftersales revenue also grew by 6.6% to £24.3m, meanwhile. In its directors’ statement, Vantage acknowledged that the group had experienced further erosion of its new car margin in an increasingly competitive market. It stated that improved retained margins in both our used car and aftersales operations had offset the decline in new car margins in the year, however, adding that the group’s performance in H1 2018 had seen the business “trading is ahead of last year”.